NANCY C. WEEKS - ROMANTIC SUSPENSE AUTHOR: In the Shadow of Pride and the Creme de la Cover Contest. In the Shadow of Pride and the Creme de la Cover Contest. I received some special news early this week that placed a smile on my face. 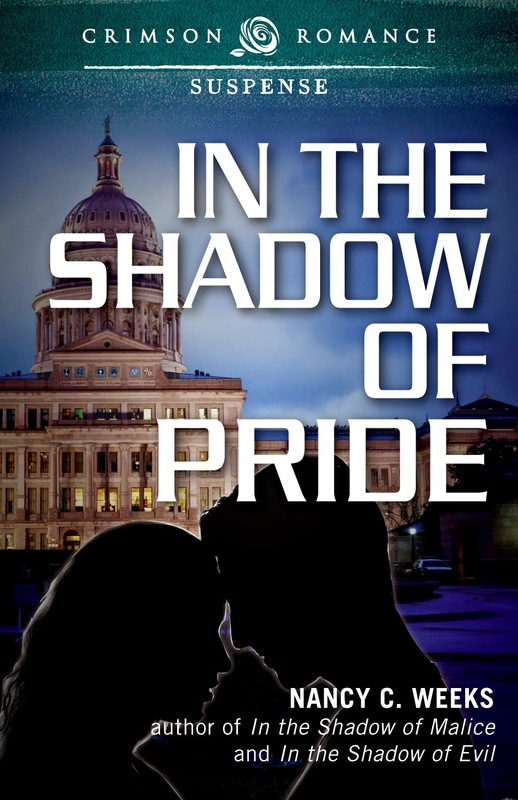 InD'tale Magazine selected the cover of In the Shadow of Pride for their Creme de la Cover Contest and I need your votes. 5 Star Crowned Heart for Excellence rating in the current issue of InD'tale. I loved writing this story. To have it showcased like this means everything to me. Folks are just going to have to put up with my silly grin a little longer. There are three other book covers in the running along side Pride. If you think the cover of In the Shadow of Pride is the best of the four, I would love your vote. Thanks so very much. I hope you have a wonderful, relaxing weekend. I'm going to find some time to work on my next book. Can't wait to dive into my character's lives and see what comes out on the page.